Green Circle Approval S/100/3/G/452077 ? To get these payphones out of "999 calls" only mode you need a TESTER 297A, I now have one, as Id like to work out what the protocol is. 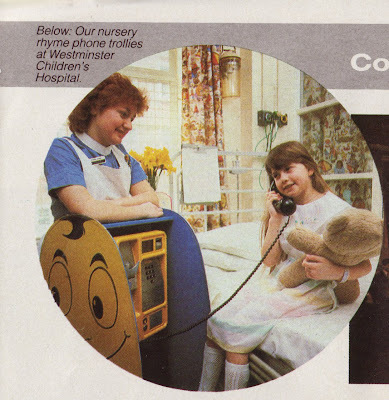 The new payphone was being developed under contract by Plessey Telecommunications Ltd. and was scheduled to enter public service in 1983.
for all coin values from 2p to £1. debited indirectly in 1p or 2p steps. However, the display on the CT24/25 is much more comprehensive: at the beginning of a call it shows the minimum fee needed, and at the end it indicates how much will be refunded. The CT24/25 payphone receives periodic meter pulses from the local exchange, it is connected to ordinary (ORD) gradings and thus the call charges must be based on the same charge-unit durations as those for ordinary lines. telephones. The payphone applies its own timing when the received meter-pulse interval exceeds a specific va lue. procedure which constitutes a very significant proportion of the control software. A nickel-cadmium secondary battery maintains the data RAM and supplies current peaks for coin-handling as well as enabling the payphone to operate for short periods with the line disconnected (such as, during cashing and refunding at the end of a call). The battery is trickle-charged from the line during idle periods but receives most of its charge while the line is seized. 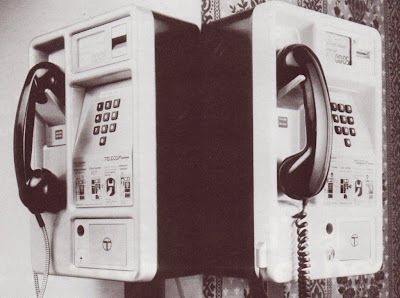 The Public Phone box or PCO version (designated CT24 or payphone 600), and the renters' model (CT25 or payphone 500) have been designed with as many common parts as possible. Externally, the only visible differences lie in the size of the cash compartment (which, in both versions, is separate from the mechanism housing for added security) and in the more robust handset of the CT24; but the CT24 has been made very much tougher than its sister by the use of stronger materials and locking arrangements. The internal mechanisms of the payphones use identical major assemblies, with a few small components (such as, a relay to provide a renters' local cash-box-full alarm) being fitted only in the CT25 or being optional. In addition, the CT24 will have ceramic-packaged integrated circuits to cope with the greater extremes of temperature and humidity, though the printed-wiring boards will be otherwise identical. Renter Payphones by John Hough, Product Manager for Renters' Payphones. 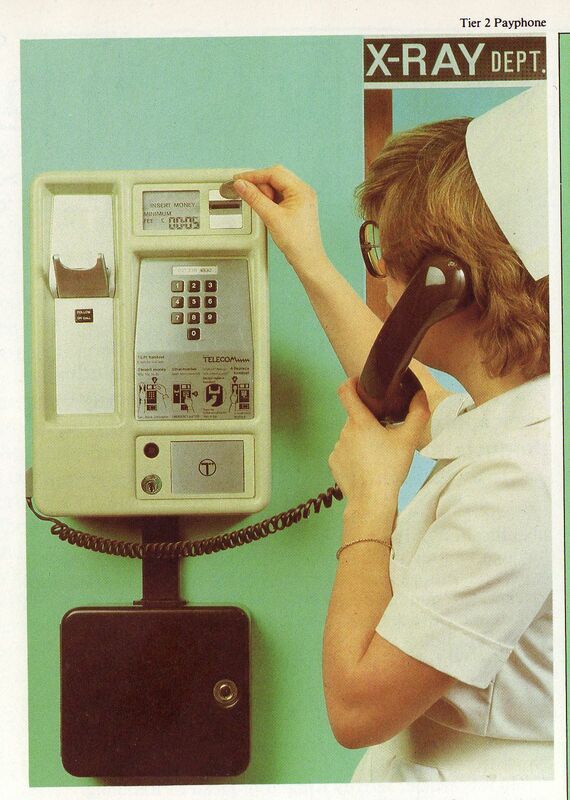 The present Pay-on-Answer (POA) payphone has served us for many years but is now becoming technically out-dated and also has major shortcomings for the 1980s, including tariff inflexibility, no access to the most distant IDD bands, vulnerability to fraud and poor reliability. Previous FOCUS articles have covered the new Public Call Offices (PCO) and Cardphones; this article describes the new electronic products that are being developed now to replace the present Renters' Coinboxes (RCB). These new microprocessor controlled products employ the latest technology and offer greatly improved facilities for our customers. They will also help to open up new markets. The aim is to replace all POA RCB's with new payphones by 1989. To this end, three new products are currently being developed or planned. The new payphone will work to Subscribers' Private Meter relay sets at the exchange, not Coin and Fee Check equipment as the POA payphones do. They will all accept a wide range of coins, allow self-dialled local, STD and IDD calls, refund unused coins and be attractively styled. Beyond these similarities, each product is designed to meet the differing needs of different market sectors.